In a region experiencing rapid growth and development, it’s beginning to feel like we need a central, handy storage place for the details of the city’s fast-changing story before we all forget them. Authors Tera Hatfield, Jenny Kempson and Natalie Ross are on it with Seattleness: A Cultural Atlas (Sasquatch, $24.95, released October 23), a collection of compelling data and creatively illustrated charts full of statistics about what makes our region special. 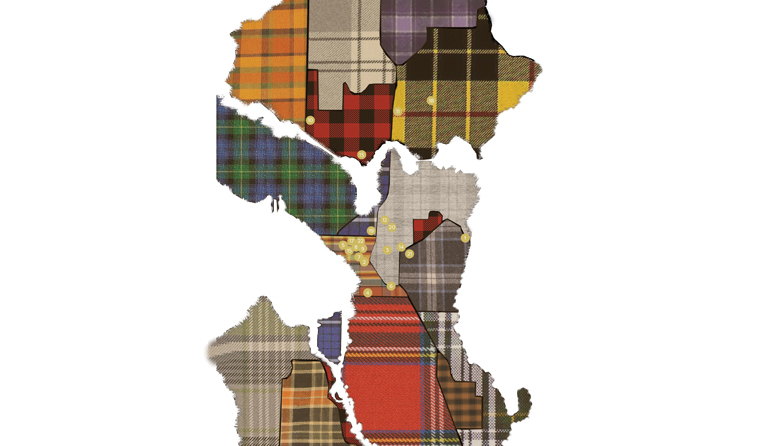 Topics range from ferries and ferry traffic, the region’s seismic activity, indigenous histories and native foods to cultural cornerstones such as Seattle’s notable grunge music venues—told, of course, in flannel. Learn more when the authors visit the Rainier Arts Center on 11/8 to talk about the book.